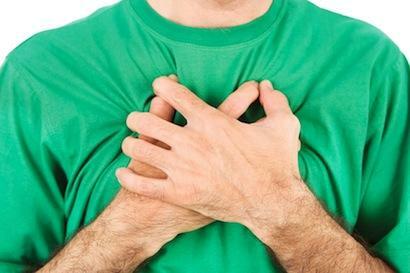 If your heart begins to beat too fast or too hard, flutters, or skips a beat, you are experiencing a heart palpitation. Heart palpitations are often felt in the throat, chest, or neck. Some people may experience heart palpitations after eating in the form of a "racing" or "fluttering" heart. Heart palpitations may become noticeable while you are eating or immediately after finishing a meal. Overweight people often complain of it after eating, while it is much less common among recovering anorexic patients. What Symptoms May Accompany Heart Palpitations After Meal? What Are the Causes of Heart Palpitations After Eating? In some cases, the heart palpitations after meal are due to the size of the meal eaten. They may also be related to the composition of the meal, namely if the meal was rich in carbohydrates, sugar, or fat. Moreover, foods that are high in monosodium glutamate (MSG), nitrates, or sodium can also trigger heart palpitations after meal. The best way to determine whether heart palpitations are due to a particular food is to create a food diary. In addition to eating, heart palpitations may be linked to strong emotions or stress. In fact, panic attacks may induce heart palpitations. Underlying heart diseases, such as heart attack, coronary artery disease, congestive heart failure, heart valve problems, and heart muscle problems, may also lead to heart palpitations. These heart palpitations typically present as an arrhythmia. Below is a list of factors that are known to induce heart palpitations. What Are the Treatments for Heart Palpitations After Eating? Heart palpitations are typically harmless and may go away without any interventions or treatments. In the event that there is an underlying cause of the heart palpitations, your doctor will suggest changing the behaviors that initiate the palpitations. In some cases, beta-blockers or calcium-channel blockers are administered if lifestyle changes fail to prevent heart palpitations. If an underlying medical condition is causing the heart palpitations, the underlying condition is treated. When your doctor is unable to cure your heart palpitations, you may be referred to a heart rhythm specialist (electrophysiologist) for treatments. The table below will show you directly the causes and relative treatments for heart palpitations, in which you can follow easily to avoid heart palpitations effectivley.